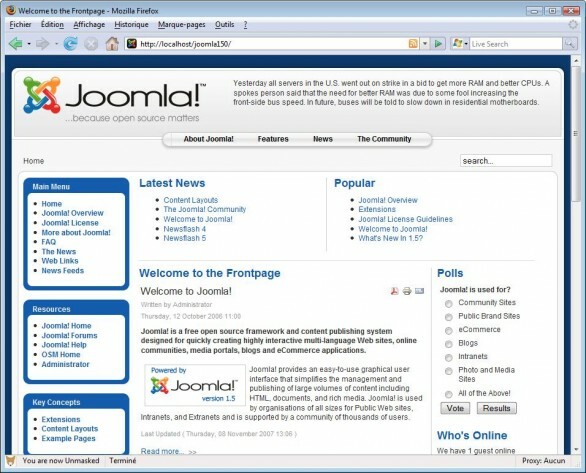 Joomla is a very powerful free and open source content management system (CMS), and its upcoming release, version 1.6, is expected to continue its tradition of stable and efficient website management. There are, however, certain settings in Joomla that are not so obvious, and a webmaster that has not learned how to fix those little nuances can usually be identified by the appearance of his website. 2. Click “Menus” and then click the name of the menu you are using. 3. Find the default page, designated with a yellow star in the “Default” column. 4. Click the name of the page. 6. Next to “Page Title” you will see the dreaded welcome message. You can can change it, delete it, and/or click “No” next to “Show Page Title” to remove that title section completely. 7. Click “Save”, and you are all finished. Previous How much of your server should you utilize?